Why you need to ask these 7 questions to test soft skills during a job interview 7 ways to establish a culture of mindfulness in the workplace This is the most distracted group of people when they are driving 6 ways nice people can master conflict If you do this on your resume, there is a 79% chance you will not got hired You consume 92 extra calories a day by not doing this one simple thing What’s the best way to guarantee a productive work environment? Work with people who do this Are you using any of these 100,000 worst passwords for cybersecurity? Eating chocolate at lunch and 8 other ways to beat SAD at work Why less is more when it comes to your resume: Ladders 2019 Resume Guide Here’s how to supercharge your resume in 38 minutes I had a bad day What’s the best way to guarantee a productive work environment? Work with people who do this The downside of having attractive coworkers You consume 92 extra calories a day by not doing this one simple thing Are you using any of these 100,000 worst passwords for cybersecurity? At Cubic we’re changing the way people travel – to work, to school, to wherever they want or need to go, and home again. Come join our team of data experts as we build innovative technologies and leverage the latest data science techniques to tackle transportation’s most pressing challenges. As a global company our work impacts the lives of millions of people around the world in cities like London, New York, Sydney, and many more. Cubic is the analytics center of excellence and we are using data to optimize transit networks, reduce road congestion, improve the travel experience, and minimize each city’s carbon footprint. You will collaborate with a diverse group of talented professionals who are as passionate about their work as you are, and are committed to delivering only the highest quality solutions. We are an agile team, and this means you’re empowered to deliver the best results, have the opportunity to influence all aspects of the business, and know that each contribution you make is significant. In an industry where Cubic is a world leader, we’re driving a paradigm shift in how transportation services are planned, delivered, and consumed to better meet the needs of an increasing and ever-more concentrated urban population. Don’t take a backseat. 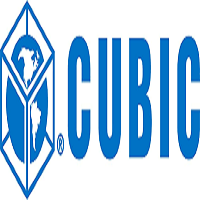 Join Cubic and be instrumental in driving the future of travel. Performs complex software engineering assignments within an Agile team that includes designing, implementing, and debugging highly-scalable, security focused full stack web solution. Provides technical guidance and leadership. Provides project coordination and supervision. Defines budget and schedule constraints. This position typically works under general supervision and direction. Incumbents of this position will regularly exercise discretionary and substantial decision-making authority.